Over the course of the past three years, I have grown and gone through more than I thought possible. Contrary to how I would prefer to live, from time to time I have caught myself fearing the future, waiting for the other shoe to drop and imagining the worst. The problem is, some of the horrible things that I imagined happening, happened. Yet, here I am still alive and happier than I have been in a long time or even thought possible anymore. Difficult things happen all the time and it hasn’t killed me yet … even though I thought I wasn’t going to make it. At least this is what I was telling myself while on the third mile of running up slick rock in a race in Moab a few weeks ago. You may feel like you’re going to die, but you’ll survive. You’re a woman who can do hard things! Just don’t fall off the trail on the way down, k? Keep going! 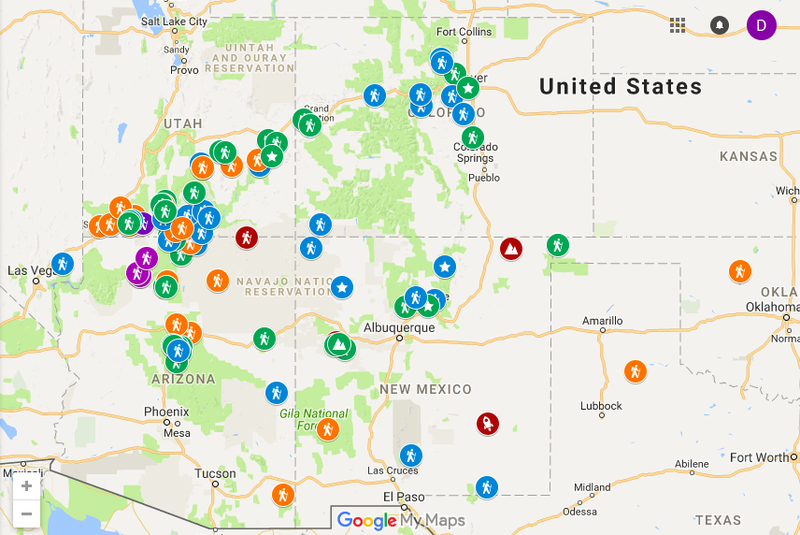 For half of April and May, I threw caution to the wind and explored the Southwest of the USA. There is nothing like forgetting what day it is and having no reason to figure it out. Traveling is an important part of life; at least my life. When you go somewhere new, you learn more about the world and a whole lot about yourself, if you’re open to it. Before leaving, a massive list in the form of a custom Google Map was created. I pinned places to visit and hikes, adventures and things I wanted to see and do. Notes, links and thoughts were included in each pin, and yes, I even had a color coding system. I know. I am ridiculous and overzealous … there is no way you can do over 100 amazing things in 20 days. 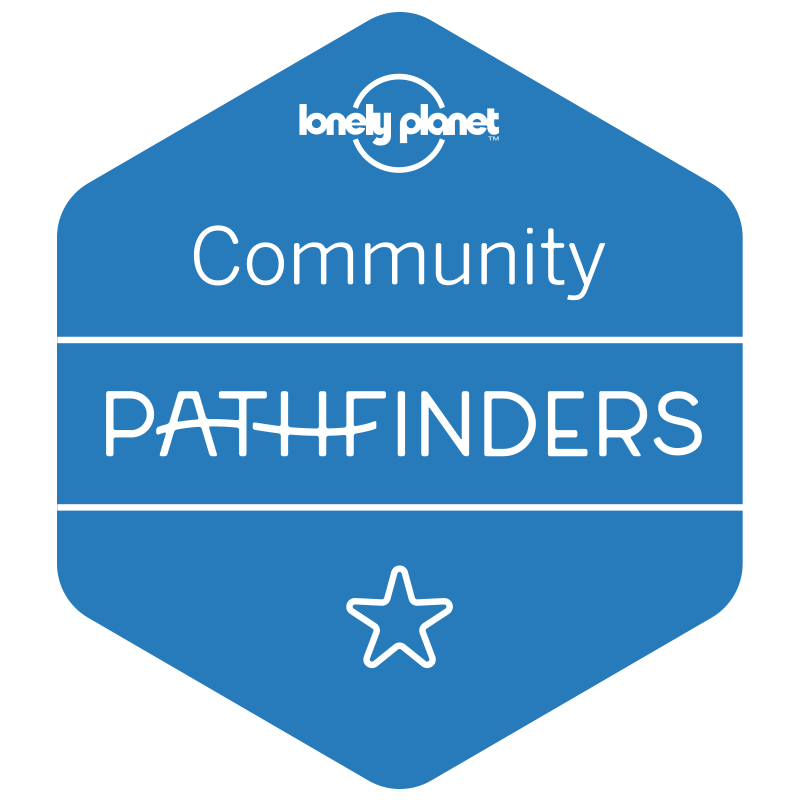 We only accomplished the green icons, I guess there is another trip down south in my future! 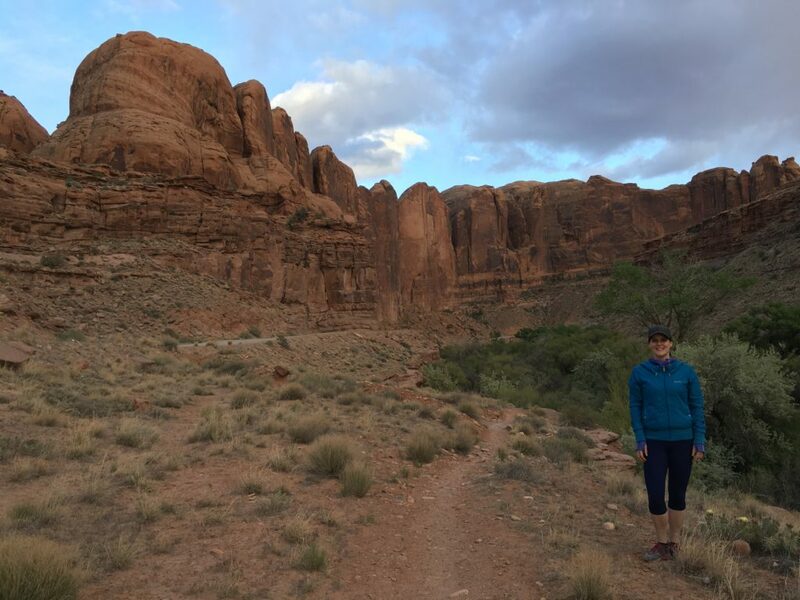 One of the things I found in my ‘Googleage’ was a trail race in Moab, adventure capital of the Southwest. I put it on the map. The website was pretty and it seemed like the perfect thing to do as a prep race for my impending mountainous adventure in July. With only a few hours left before registration closed and while covered with red dust from a full day of exploring and hiking through canyons in Arizona, I found myself paying the race fee. 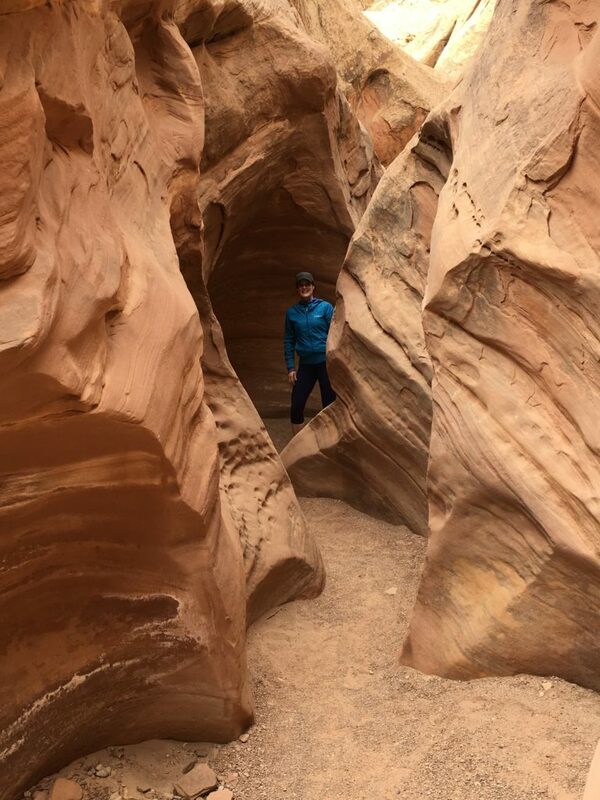 After closing my laptop, I promptly forgot about the race while exploring the Grand Canyon, slot canyons, natural bridges, gulches and many other incredible places. It is easy to forget about things when you’re adventuring! We nearly didn’t make it on time to pick up our race packages — Little Wild Horse Canyon was unbelievable. Finally arriving at Moab just as the race packet pick up was about to close, I found myself wondering what I had actually signed up for. Cute Race Director Woman – And you heard about the river crossing? Donloree – No. River? Crossing? Cute Race Director Woman – Yes. The Colorado is backed up so the wash is running deep. It came to my waist this morning. It’s at the end. Donloree – And we have to go through, not around it? Cute Race Director Woman – Right through. But it’s at the end. Just bring dry clothes along for after. Waking up to snow on the morning of the race with the impending river crossing at the end of the race made me want to simply DNS (that’s fancy runner talk for ‘Did Not Start’). As I started the race, I gave myself permission to stop running at any time and simply quit. Great idea in theory, but there was a small problem with the pact I made with myself … once on the course, I had no idea how to go back and not get lost. Two miles into the relentless climb, I realized my only hope of getting off the mountain was to follow someone who I thought was also doing the 6.5 mile race. Like life, the only way to survive was to keep going and figure it out while in motion. Finally arriving at the only aid station, I took solace in the fact that I was still alive and was not lost. Three glasses of water and four orange slices later, I decided to keep going, but I had a question first. Woman slicing and arranging fruit – Hmm. I have no idea. Bob, do you know? Bob – Shoot! I meant to ask that before we got up here. I have no idea. Maybe you’re halfway? Donloree – So, you have no idea how much longer? Bob – No and I am glad I am in charge of water and not running. Good luck. Woman slicing and arranging fruit – Totally! I would hate to be running today. You’re brave. Donloree – I feel out of shape and I want Starbucks. I haven’t had coffee yet. Woman slicing and arranging fruit – (Raising her coffee and smiling) Get a cup when you get back to town! I didn’t harm them, if that is what you’re wondering. It turns out the aid station was located two miles outside the finish line and after turning a corner, I could see the finish line. Seeing how I ran up the 4 miles of hills slower than a pregnant turtle, I tried to make up time on the downhill. Insert small problem — extremely technical single track with a sheer drop off on the left. Avoiding death prior to the swim portion of the race became my new goal. I have never been so glad to see a murky river in my life. No longer caring about how icky it might be, I fearlessly took the plunge without a moment’s hesitation. 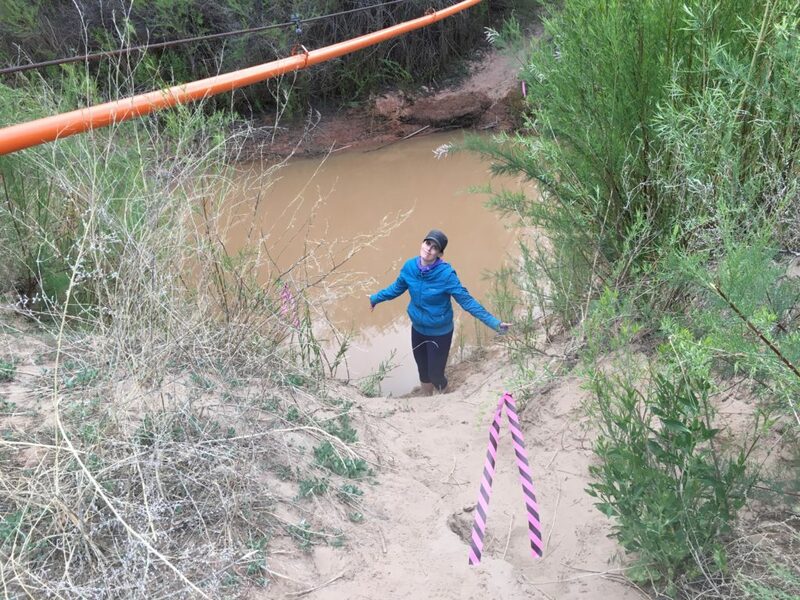 As per the firm instruction of the race director, the course went through the river and if you didn’t cross there, you were disqualified. Wet, muddy and officially annoyed, I crossed the finish line. It took a banana, two glasses of water and a sandwich to make me human again and able to interact with society without biting anyone’s head off. Pride quickly filled the place annoyance had just occupied. I can’t believe I just did that. It wasn’t pretty but it is done. Everyone is running a race. Your life is your race. Sometimes it is easy, oftentimes it is not. The decisions you make, even the whimsical ones late at night when you’re covered in red dust from a full day of hiking, put you on a path. Most decisions in life seem banal and mindless … yet all the little things you do or don’t do set your course. As you run through life, giant chasms of decisions come your way and you have to figure out if you are going to take the plunge or DNS. Your decision becomes a Rubicon. There is rarely any way to undo what you decide; you are the one who has to live with yourself and your decision. Choose wisely. Sometimes it is less horrible than expected. The river had gone down over night and after a few quick seconds I was on the other side of the river only with only half wet shorts. Whatever you do, when you’re crossing a Rubicon, make the decision which makes proud of yourself after you have a sandwich or two and are once again able to interact with society in a kind manner. What Rubicon are you facing? Make yourself proud, do the hard but happy thing — cross your Rubicon without hesitation. But you wear that name so very well – with cute shoes, of course.